This past week I was introduced to and worked alongside some wonderfully gifted people who made my week at the Metropolitan Opera House extra special, I will always remember their generosity, encouragement, and enthusiasm. Their individual commitment was truly inspiring and I will treasure these memories in the years to come. There is also an option to check the archives and see opera education packs from previous seasons. They are well worth a read! 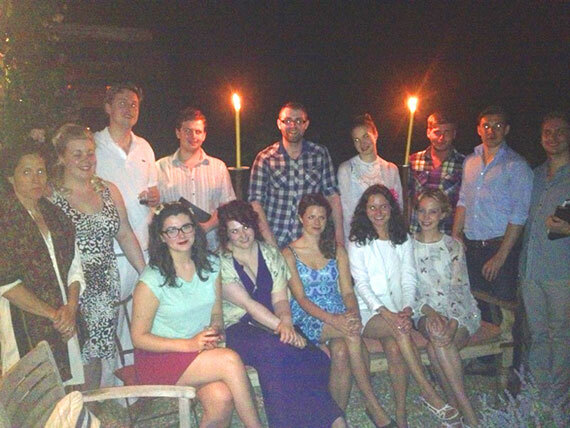 During the week we reached our 100th Performance of BambinO and it was great to have everyone there to celebrate it. It was quite a milestone made extra special by the performance being at the Met !! After Our 100th Performance !! During my time in New York, I explored the city mostly by foot with the occasional trip on the subway. I was invited to go and observe a panel discussion on music and early childhood development, between the creators of Bambino and faculty members from the Rita Gold Early Childhood Centre, Columbia University Teachers College. It was both interesting and exciting that professors were exploring the effect of the work that we were doing. The panel discussion was held in the super swish Norwood Club, a private members club for Artists and Creatives in the heart of New York City. We were lucky enough to meet the owner Alan Linn who warmly welcomed us and encouraged us to enjoy the artwork and the themes to each floor of the building. As we climbed the flights of the stairs on our way to venue space on the top floor, it felt like I was walking through the looking glass in Alice and Wonderland. One of the greatest perks of working for the Metropolitan Opera House were the invitations to attend the opera performances as their guest. This made for a wonderful week as I was able to watch three Operas: Roméo & Juliette, Lucia di Lammermoor, and Cendrillon all with supreme casts, telling stories with scintillating singing, in wonderful costumes, portrayed on amazing sets. My favourite was Cendrillon. I loved the outlandish costumes! In particular the red costumes for the female chorus in the ball. This was because each character was given a different style of dress, that was crazily elaborate. One had a bustle like a rooster, another had enormous horns like a maniacal princess and many, many more. James, the head of costume at the Met, told me that the performers were given the stage direction to focus on the fact that they thought they were beautiful – fit for a prince – and that these dresses were the best they had available. Rather than play up to the hilarity of their character’s image. This worked really well from an audience’s point of view. Other elements were punctuated with farce and comedy and the outstanding singing contributed to a wonderful evening. The set design for Cendrillon was particularly thrilling, and it’s magical appearance brought this iconic fairy-tale to life. Although the performances throughout were stunning I thought that Joyce DiDonato’s interpretation of Cinderella was simply fabulous, her singing was sublime and her stage presence was charming and witty and she had me enticed throughout. So, can you imagine my reaction when I discovered that Joyce DiDonato had come to watch a performance of BambinO with her family on Friday afternoon, to see her in the audience was quite surreal. I’ve tried to stay awake as much as possible today in London after a night flight to try to readjust to British Time and I’d just like to thank my very best friends for coming to my help and entertaining me all day. Charlotte: Do you live in Italy or are you on holiday? David Nichols: I have lived in Italy for 15 years and speak Italian. Charlotte: How do you choose the films that you produce? David doesn’t raise the money. Other producers do that job. He organises the film, he is given the script, asked to calculate how much it will cost (create the budget) and determines where will it be filmed. David: Most fun part is deciding where to film it! For the “Seven years in Tibet” David spent six months all around the world deciding where to film it, he missed Jenny, his lovely wife, though. Charlotte: What do you like the best about producing a film? David: Everyday is a different day. I never know what is going to happen next. It’s a great challenge, I get tired of it too and it can be stressful. Everyday has new problems to solve or experiences to enjoy. Every film is a prototype, every film you have to settle a whole new set of problems. I often have to restart from zero. Charlotte: What career advice would you give to your daughter? Charlotte: Who did you enjoy working with the most: Actor; technician; costume; Director? David: I would have to say Woody Allen. I most enjoyed working with him. Charlotte: Do you help to select the actors for the film? David: The Director chooses actors; some films are made because they have the actors e.g. ‘The Tourist’ was made because the opportunity for Johnny Depp and Angelina Jolie to be in the same movie arose. In big budget films, the actors create the films. David: Laughing – The next time I need a young talented blonde singer I will give you a call! It won’t be as an extra but a singer, if you hear an extra sing you have to pay them featured rates. David Nichols was a lovely man who was relaxed and welcoming. I was able to have a good laugh with him, in fact when I listened back to the tape I think I need to work on that loud guffaw of mine 🙂 it’s not very lady like. As it was Max’s 21st birthday I had the good fortune to meet his Mother Dr Sarah Fane, Dr Fane is a very inspirational woman, she will receive an OBE in January 2014. She was told about it on the Queen’s birthday, Saturday 15th June 2013. Dr Fane was awarded the Order of the British Empire for services to charity and in particular her services to the children of Afghanistan. It all began when she was a medical student in Afghanistan when the Russians were at war there. She worked in a mother and child hospital. She returned to Afghanistan under the rule of the Taliban and was inspired to set up the charity called AFGHAN CONNECTION (link) in 2002. They began focusing on health issues giving vaccinations to 72,000 children and concentrated on maternal health. Then the charity twinned 20 schools in England to ones in Afghanistan – creating a teaching programme, writing letters and posting them out to Afghanistan. The charity raised funds through schools in the UK. The children in Afghanistan had no school buildings so the charity raised the funds to start building the schools. In the last 3 years the project concentrated in one area, Worsaj in the North East (Hindu Kush) none of the women Dr Fane’s age could read or write, so they built schools for the children who could not reach schools due to the remoteness of the area. At the start of the project 800 children were in the schools they set up. These were children who could not access education due to the distances involved to attend established facilities. The charity trained 450 teachers in that region, and built 8 new schools for over 5,000 children and helping the local education department. The charity have been invited to do the same again in another district nearby. Dr Fane’s son (Alex) noticed that the Afghan cricket club had climbed their way up the cricket leader boards. Going from bottom of the world rankings to 15th in no time at all. The sportsmen came from refugee camps and are now considered heroes within their own country. The charity obtained support from the M.C.C. in London and have run big summer camps involving over 2,000 children, both boys and girls. The Afghan team came to the camps to help teach them the children. The charity obtained coaching for some of cricketers to help them to become professional coaches. In recent years Dr Fane’s focus has changed to education and cricket rather than her initial interest in health. To close the interview I asked her what she would change. She answered that she would like to give the children in the schools a proper future, after constant war for over 30 years, to create a more peaceful country and give the women more rights. I wish Dr Fane every success in the important work that she does. It was an inspiration to meet and talk with her and I will take away a different perspective of Afghanistan. We left the villa at 3:30pm and went by coach to Cortona. A beautiful city however it was full of hills! I was assisted by the Chief of the Police to the beautiful venue it was charming of him to help me. The church was stunning and had an incredible resonance. It made all of our voices ring out through the streets.!! We had a great and responsive audience and it was a fabulous venue to close our performances. We then were invited to the Chief of Police’s home for tea where we relaxed and admired the view through the lounge it was beautiful. You could see the historical city and the hills in the background. I also met Max Fane’s truly inspirational mother Dr Sarah Fane who was awarded an OBE last week in the Queens honour’s list, she also agreed to an interview for my blog which I will post later this week. We spent a relaxing morning chilling at the villa. We Left for Citta di Castillo at 6:30pm. We couldn’t get close to the venue due to our coach being too big so we had to make a quick decision on how we could get the piano to the venue. We tried alternative streets but we were stopped by Italian men with cigars who were remonstrating because the streets were too narrow ahead, however, they looked less menacing due to their powder pink and lemon summer shorts :-). Parking behind the old wall of the city we walked to the Piazza with the piano. The boys had to carry it up four flights of stairs, across streets and children’s parks before eventually reaching our destination. We made changes to our original plans of where to eat as wonderful smells from a nearby Pizzeria was calling to our hungry stomachs! We managed to get a fabulous deal, the pizzas were enormous and truly delicious. We began rehearsals at 9 ready to perform at 10. At first we had a small audience but as we sang our programme we were stopping people in the street of all ages. Babies in prams to Grandparents. The piazza was full and had the most marvellous ambience. 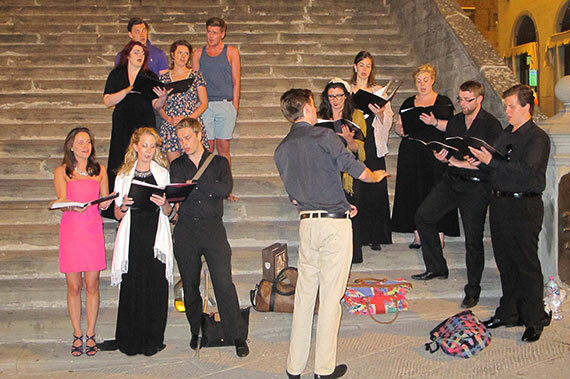 As I sang O mio babbino caro the whole piazza was silent and I remember singing to all the fathers out there. Secretly wishing my Dad and my Mum were there to watch. 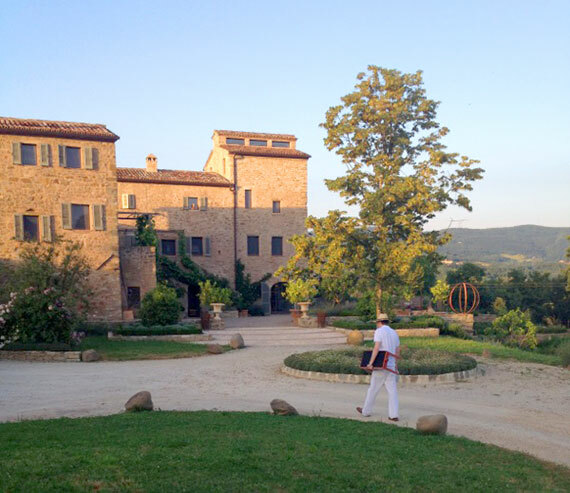 We arrived at the home of the Count and Countess Bolza in the early evening it was in a truly beautiful location on the Castello Di Reschio estate. The Countess Nencia Bolza has been happily married for nearly 13 years to Count Benedikt Bolza. They have 5 children ranging from 12-5 years old. 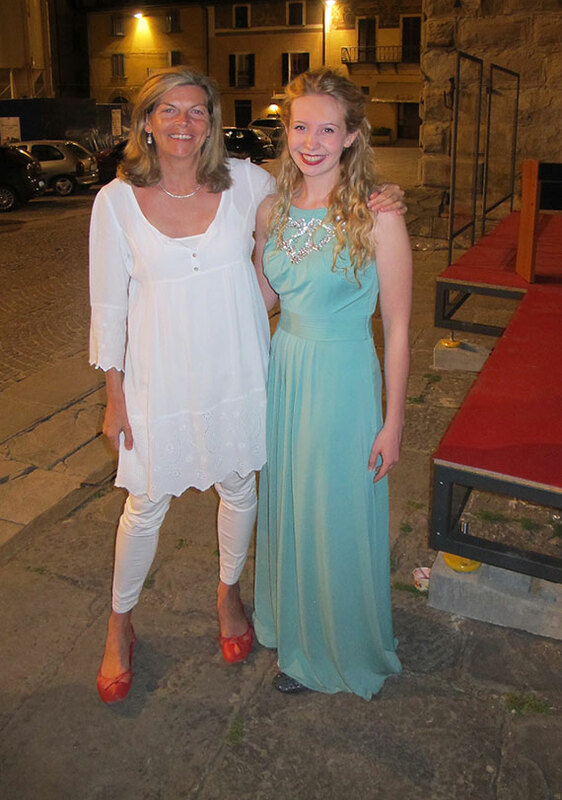 I met Giorgiana Bolza (Count Benedikt and Countess Nencia’s eldest daughter) named after the Princess Giorgiana Corsini (her Grandmother) whom we sang for on our first day in Florence. 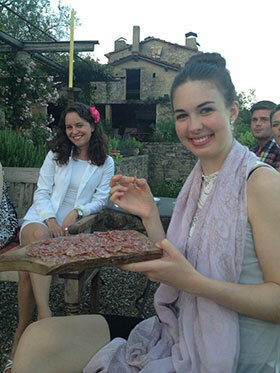 She told me that she studies in Firenze ( Florence ) and lives with her mother’s twin sister there in the week. She studies four languages (German, Italian, French and English) she may be studying in England next year. Count Benedikt Bolza’s parents renovated Max’s house 26 years ago, which is how he knows the family. Count Benedikt moved to Italy from a variety of home backgrounds. He is half Hungarian yet he was born and grew up in Munich in Germany. He then studied in London and then finally moved to Italy where he met Nencia whilst they were painting a house, which I thought was so romantic. They got married at the palace where it rained all day. They were fine as the ceremony took place under the arches. Unfortunately her guests got soaked. She remembers the men hiding under the large hats and corsages of their female companions to escape the rain! In Italy they say that if you are married on a rainy day you will have lots of children; and they did! Four girls and the last a boy. They renovated their home together. They had to combine several small houses into the one house but luckily Count Benedikt is an accomplished Architect. I’ve never seen such a beautiful kitchen! There were spice jars everywhere and blackboard which covered a whole wall. 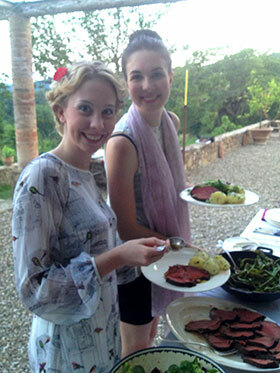 We were presented with a stunning dinner; antipasti of meats and bread, then onto the main course – steak. For dessert we had homemade ( brandy ) ice cream and a fruit custard tart which was bliss! Such wonderful cooking. 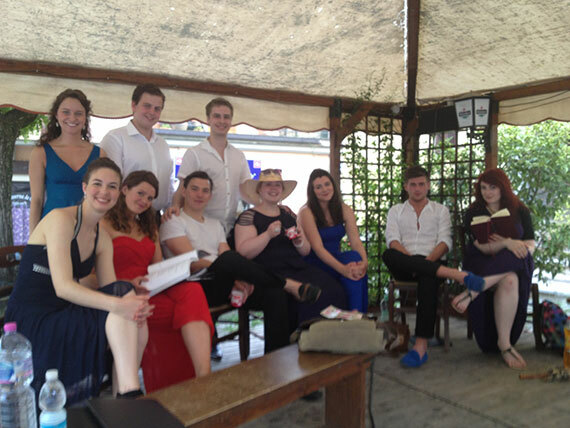 We then performed in the open air of her garden; Stanford’s “The Blue Bird” and Faure’s “Cantique de Jean”. Countess Nencia was telling me how she is planning a showcase for the local children. She is using her hidden talents (as Count Benedikt says) as she is choreographing a number from “Singing in the Rain”, creating the costumes by hand. She has some marvellous ideas and I wish her all the best in this venture. I wish I was there to help, I used to love going to Stagecoach Theatre Arts school in my school holidays. As part of a group of children we had just one week to create a stage show with the help of fabulous teachers. Each year we achieved a fantastic final performance and every year I did something different from “Oliver “ to “Honk”. Following our performance, Countess Nencia asked us to sing for her husband who had to leave on a zooming motorbike following our dessert because they have opened a new factory in their grounds. The factory is to be used to manufacture interior pieces such as ornaments and home furniture. Soon we arrived at the the old tobacco factory which is to become Count Benedikt’s new offices. I was carried up the stairs in a human carriage like something that I would have expected to see in an Cleopatra movie. I’m not saying I could get used to this but… When we reached the top we sang an encore for Count Benedikt who’d missed our performance in the garden as a special thank you for their kindness and hospitality. It was a fabulous way to end the night. However I am not a big drinker of wine and having missed the water call during the meal and being so excited to be talking to Countess Nencia that I forgot to ask for extra to drink, as a result I became rather dizzy as I was not used to the heat, I carried on, sang my very best and just on cue, after the performance I asked for a large water and promptly fainted, fortunately Kathryn, Marcus and Colin were behind and caught me. So I would like to pass on my thanks to the Count and Countess for their wonderful hospitality and to my friends for looking after me at the end of a very hot long day. I usually drink loads of water, perhaps I had a bit too much heat, after all I am a blonde Northerner 🙂 and more used to wind and rain although I’ve been told it’s been nice weather all week at home. We received bravis (loud and raucous applause). One lucky elderly lady loved every second as she was serenaded by Jonathan Kennedy as she watched from her balcony, which created a fabulous atmosphere. Everyone was up for a party when we got back to the villa, like I said this is a complete change of pace for me. Wednesday 19th, is a rest day, we are planning a five course pasta meal later. I’m going to get a bit of sun but I’m so pale I have to be really careful, factor 50 lotion. Time to learn some new lyrics for summer shows, I’ve decided I’m not very good at resting. Cheese and potato ravioli and basil with an olive oil dressing. I met the group: Chelsea; Colin; Emily; Emma; Fiona; Jonathan; Kathryn; Kieran; Lauren; Marcus; Max and Ryan early Sunday morning we had to leave for Glasgow Airport at 04:30am. Arrived in Italy at 11:15am. I was escorted by some lovely Italian men, who I practised my Italian with, in a wheelchair which was very comfy and helpful because I hate holding everyone up. 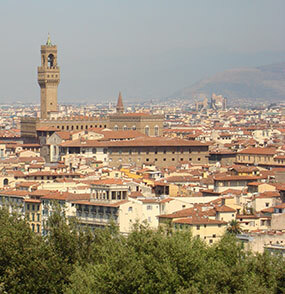 We’d booked a small coach to take us to FLORENCE, (Firenze). The coach driver was called Diego. We were in the taxi from 13:00 to 16:40. I ate at the Grandi Classici (An auto grill off the motorway). Where I had a breaded veal cutlet burger and doughnuts, Pane al sesame – cotoletta di vitello – salsa tartara and ciambelle. It sounds so much better in Italian. 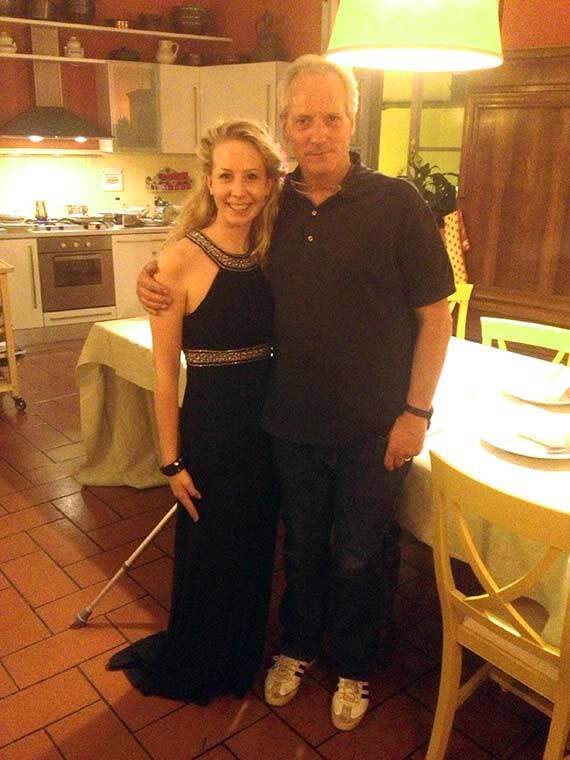 After arriving in Florence we transferred from our bus and then we had to take taxis to the Palace of Princess Giorgiana Corsini where we were to perform in the evening. 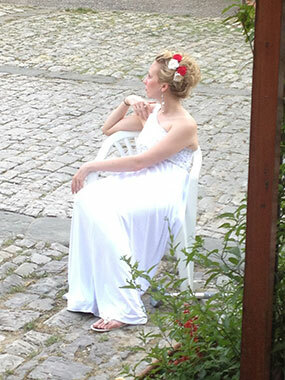 We arrived shortly after 5:00 pm and we had a rehearsal in her beautiful garden. 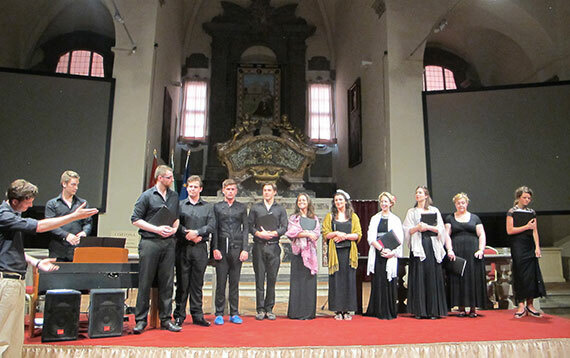 We performed around 8:00 pm to an audience of over 150. We performed several pieces as an ensemble and then we sang alongside the palace’s choir. For my solo I performed “O mio babbino caro” and was told afterwards that my Italian was fabulous The ambiance was amazing, like something from a film. 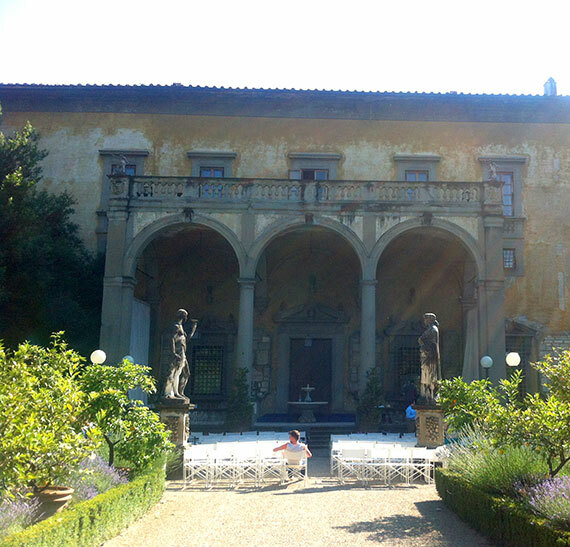 We were surrounded by statues; columns; lemon trees and the main pathway was lined with lit wax candles. I took a load of photographs but my sd card is too small for the adapter I bought. So for the time being I will use my phone but when I’m home I’ll have my lovely pictures at the ready. Day 2, Relaxing like a true Italian. For lunch we have had a range of meats, purchased from the local supermarket. (Local is a 15 minute drive or a 90 minute round, walking trip). Ham, Salami, Cured meats with dry crunchy bread (I prefer my sub/hoagie bread, but hey you have got to live, love and taste this new culture). 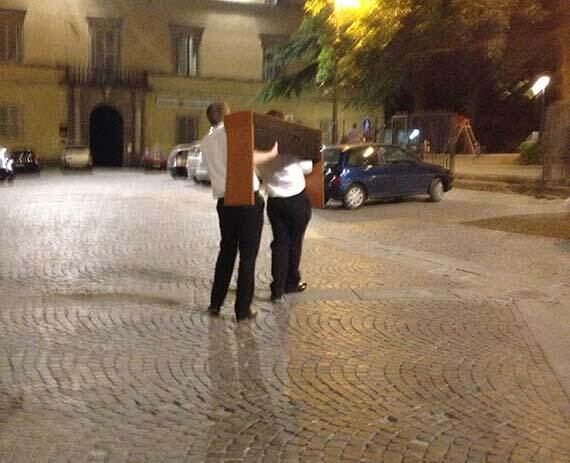 We got a large casket of wine for €8 which the drinkers amongst us cheered about. It’s been a glorious day of sunshine, clear sky and silence from the villa apart from when someone fell graciously off an inflatable lilo, or cannon balled in off the diving board. I’m getting excited now ! This picture was taken of our group following our final rehearsal together before we leave. 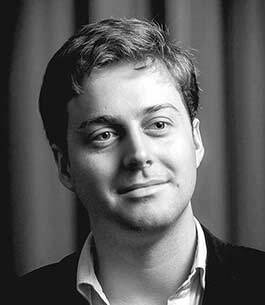 As Sunday approaches, I am starting to get really excited about our Italian adventure 🙂 At the RCS during my first year I have studied with many talented students and one of those students is Max Fane the conductor and organiser of the trip. 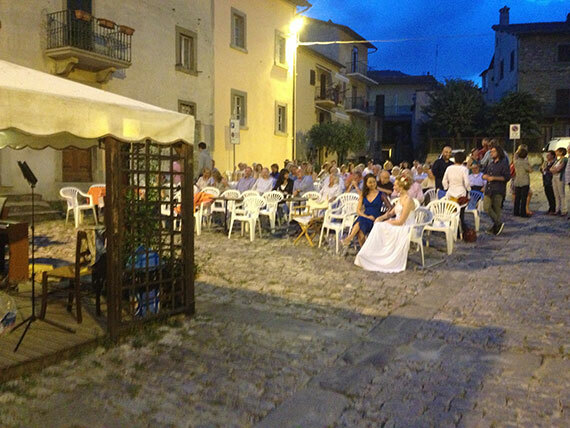 ‘Four years ago, in September 2009, I put on our first impromptu concert in the village of Mercatale. 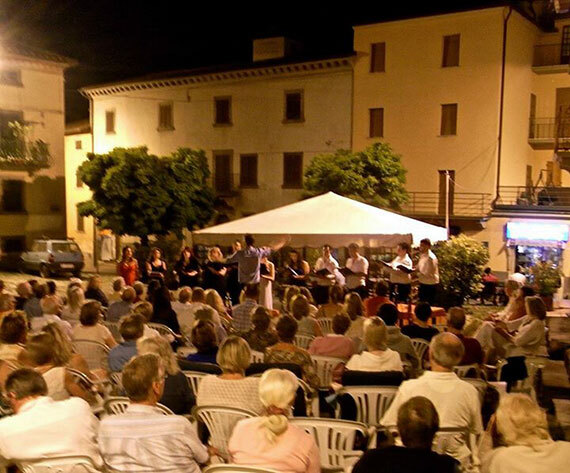 Such was the success of the event that the following two years, the group Dieci Cantabile returned officially under my direction to the Italian Hills and performed in a series of concert for two summers running. 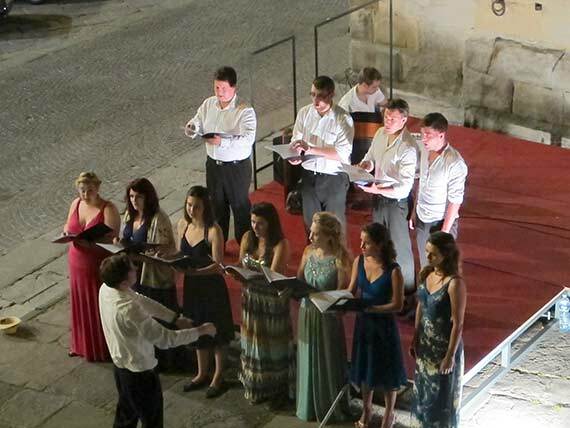 Having lived near Preggio for all of my life, performing in many concerts and recitals across Umbria and Tuscany and using the experience of three previous tours I set about finding a group of singers at the Royal Conservatoire of Scotland, where I study as a tenor, pianist and conductor to take my Italian adventures to the next level. 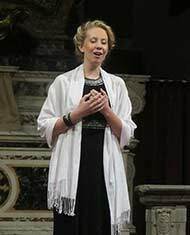 Italian opera and song have been very important to me over the past year, and it has been my constant ambition to improve the understanding and performance of the repertoire among the young singers that I study with. To this end I co-founded a organisation of highly talented young singers and started the On-Key Music Association. 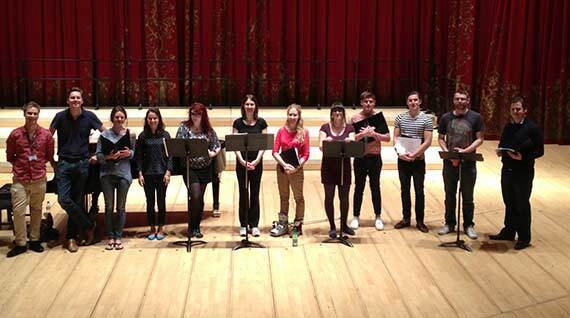 With this we aim simply to promote and support performance opportunities for young singers and musicians. These are passionate young singers, who have all worked very hard to pay their way to come on this unique trip and we have some fabulous events lined up. 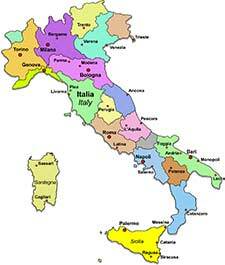 My hope is to inspire a lifelong passion in the music, culture and country of Italy. We have four main concerts lined up. Firstly in Giordani Corsini in Florence at 7pm on June the 16th, then in Mercatale for our traditional concert in the piazza at 9 15pm. Following this we have the event in Citta’ di Castello at Café Magi at 10pm on Friday the 21st, and at Sant’Agostino in Cortona at 6pm on Saturday the 22nd at the Auditorium Sant’Agostino.